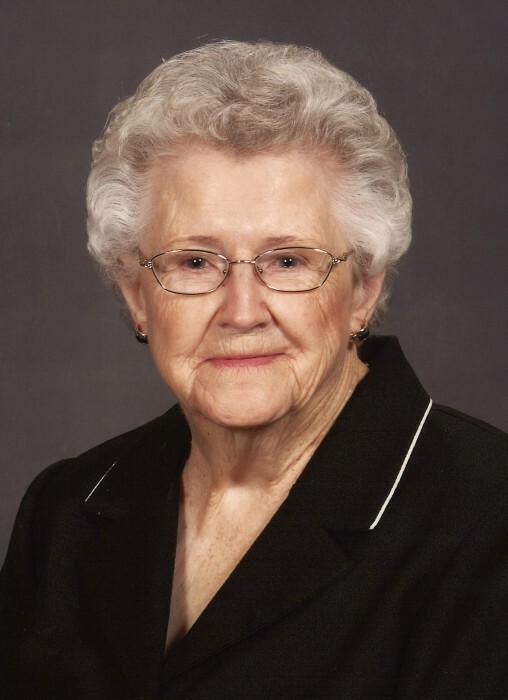 Almeta Parrish McNeill, age 98, of Sanford, passed away on Sunday, August 26th surrounded by family. She was born in Lee County on November 1, 1919 to the late Alton Lee Parrish and Lydia Jane Dalrymple Parrish. In addition to her parents, Almeta was preceded in death by her husband, Phoenix McNeill; sons Mitchell McNeill and Carlton McNeill; daughter-in-law Janice McNeill McNeill; brothers Ernest Parrish, Stanley Parrish, Gordon Parrish, Alton Parrish, and Bryant Parrish; sisters Leola Parrish Calcutt, Nettie Reid Parrish Smith, and Gerline Parrish McNeill. Almeta grew up in the St. Andrews community. She was a 1938 graduate of Greenwood High School. After she got married, Almeta cherished her time spent working and raising her children on the family’s farm in the Barbecue community of Harnett County. Later, “Granny Mac” relished her role as a loving grandmother and great grandmother. She was a long-time member of Morris Chapel United Methodist Church and loved flowers, seafood and her rocking chair. Almeta is survived by daughters Phyllis McNeill Poe (Wayne) of Sanford, Elaine McNeill Brown (Marcelle) of Lillington, Jane McNeill Sullivan (George) of Sanford, and Robin McNeill Thompson (J.W.) of Sanford; sons Foster McNeill (Beverly) of Sanford and Tim McNeill (Donna) of Cameron; sister-in-law Mary Ragland McNeill of Sanford; daughter-in-law Grace Cox McNeill of Sanford; grandchildren Paula McNeill McGehee (Tony) of Sanford, Scott Brown (Susan) of Benson, Dawn McNeill Holmes (Joey) of Broadway, Darrell Brown (Julie) of Goldsboro, Kimberly Poe Shelton (Scott) of Apex, Michelle McNeill of Olivia, Andrew Sullivan (Amanda) of Sanford, Matthew Smith (Dawn) of Cameron, Barra Smith Ray (James) of Cameron, Kerri McNeill of Raleigh, Phoenix Sullivan (Natalie) of Denver, CO, Julie McNeill of Sanford, Maggie McNeill Nichols (Josh) of Cameron, and Darbie Thompson of Sanford; great-grandchildren Kelli McGehee, Chance McGehee, Jenna Brown, Jordyn Brown, Logan Holmes, Lexi Holmes, Hallie Brown, Hunter Brown, Alex Shelton, Karenna Shelton, Kirstin McGinty, Megan McGinty, Makenzie Sullivan, Brodie Sullivan, Dillon Smith, Madison Smith, Macie Smith, Drew Smith, Christian Ray, Blake Ray, Carson Smith, Mason Ray, and Hadley Nichols; many nieces and nephews. Special love and gratitude from the McNeill family to granddaughter Darbie Thompson and home care givers Linda Williams, Betty Drasinky, Sonau Miller, Dale Hunter, and Brenda Hall for the wonderful care they provided so Almeta could remain at home during the final years of her life. The family will receive friends Tuesday, August 28, 2018 from 6-8 PM at Bridges-Cameron Funeral Home and at other times at the home of daughter Jane Sullivan, 1278 Barbecue Church Road, Sanford. The funeral service will be in the chapel of Bridges-Cameron Funeral Home, Wednesday, August 29th at 11:00 AM. The burial will follow at Morris Chapel United Methodist Church cemetery. Memorials may be made to Cameron Hill Community Outreach Fund (to help feed the homeless), PO Box 410, Olivia, NC 28368.